Learning how to color correct dark spots is a skill. We break down how to do it correctly. 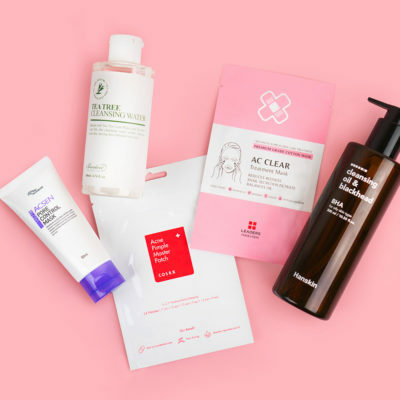 When you’re prone to redness (especially those with acne-prone skin), it can be a struggle to get it under control. 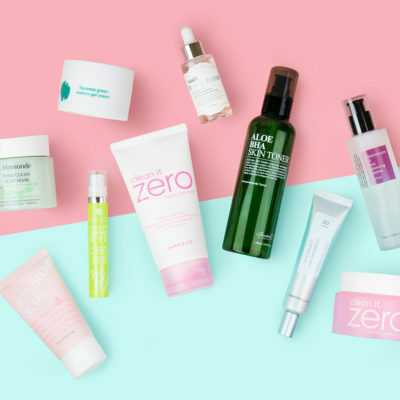 While skin care should always be the first step in trying to control it, there are times when your 10-step just doesn’t cut it and that’s where makeup comes in. Here we breakdown three ways to color correct redness, so you can achieve even, glowing skin. Why green? Well, it’s all about color theory. If you want to “cancel” out a certain color, your best bet is to choose the opposite color on the color wheel. In this case, green cancels out red. You can target the redness with a base in a variety of ways: primer, moisturizer, or cushion. 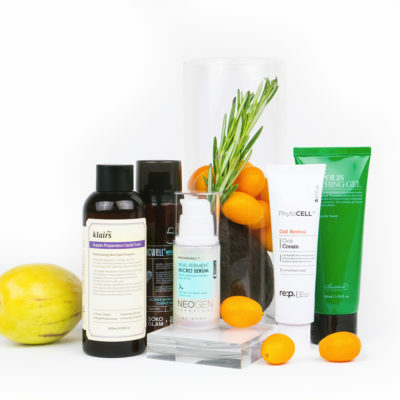 My personal favorite is using a green-based moisturizer, like the Dr. Jart Tiger Grass Color Correcting Treatment. This hybrid treatment doubles as moisturizer and color corrector that uses a centella asiatica complex to soothe and calm easily reactive skin. The cool thing about this treatment is that is starts out green but it turns beige as you rub it in, essentially adjusting to your skin tone. So, you get an all-in-one skin care treatment plus a light base that evens out skin tone and covers redness. 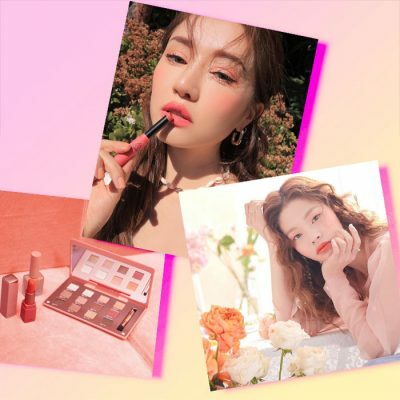 It also contains an SPF of 30, making this an excellent multi-tasker for those who don’t want to waste too much time in the morning or like to go for a light, everyday makeup look. If you tend to use primers, then it might be worth it for you to invest in one that comes in a green base. The Innisfree Mineral Makeup Base in 02 is a mint shade that’s designed to prime your makeup, color correct, and hydrate. If you have oily skin, this one should be your go-to as it contains jeju mineral powder to mattify the skin and help keep oil at bay throughout the day. For those who suffer with all over redness (like me), then a green-based cushion, like the Etude House Any Cushion Color Corrector should be the one you reach for. The cushion set up makes it super easy to use since you can cover a larger area quicker than a spot concealer. All you have to do is pat on a light layer of the cushion wherever you see any redness and then go over with your usual foundation or BB cushion. 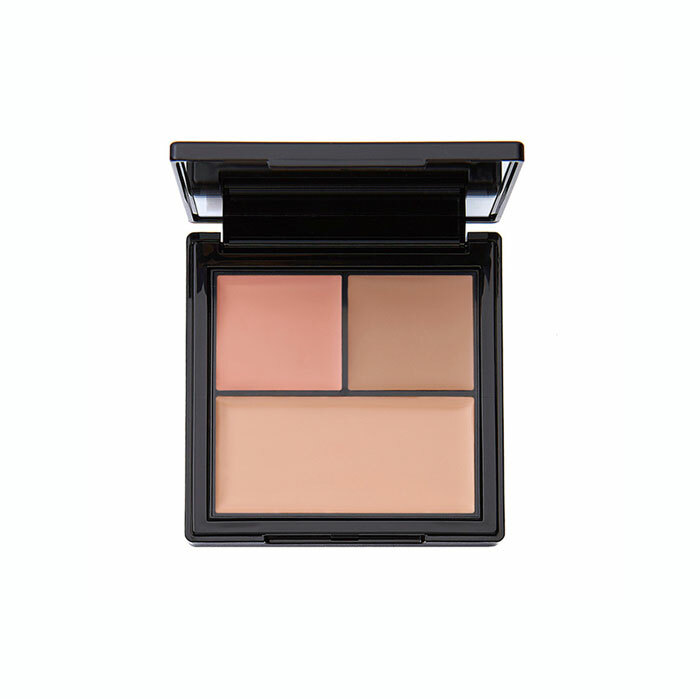 This easy combo will leave you with a flawless, glowing base! 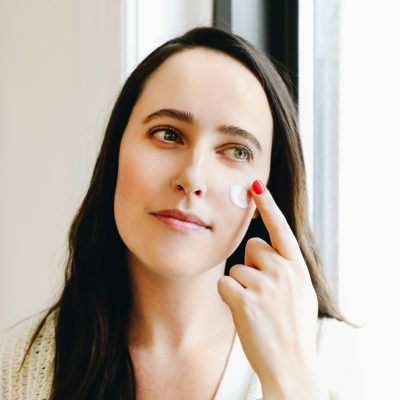 If you don’t have all over redness, spot concealing the areas that do have redness (pimples, the sensitive area around your nose, sun spots, etc) is your best option. You can use a stick formula like the Etude house Play 101 Stick Color Contour Duo in the shade mint and blue. The green shade cancels out redness while the blue one targets uneven skin tones. My best tip for working with color correcting concealers is to only use a small amount. A lot of people get confused because once they blend out the concealer, the green tends to melt into the skin and disappear. This is perfectly normal. Just because you don’t see the green concealer on your skin doesn’t mean it’s not working. Sticking with a smaller amount makes it easier for you to cover up later with your regular concealer. If you’re targeting blemishes, make sure to go over the corrector with a high coverage concealer, like the Son & Park Custom Cover Concealer Kit. 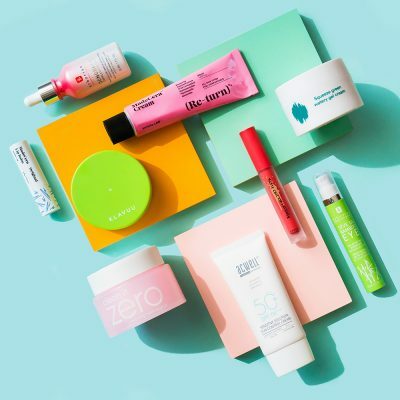 Since you’re using a corrector and then a concealer, you’ll want to make sure to use lightweight products so you don’t end up with cakey-looking makeup, and this Son & Park concealer is super airy. 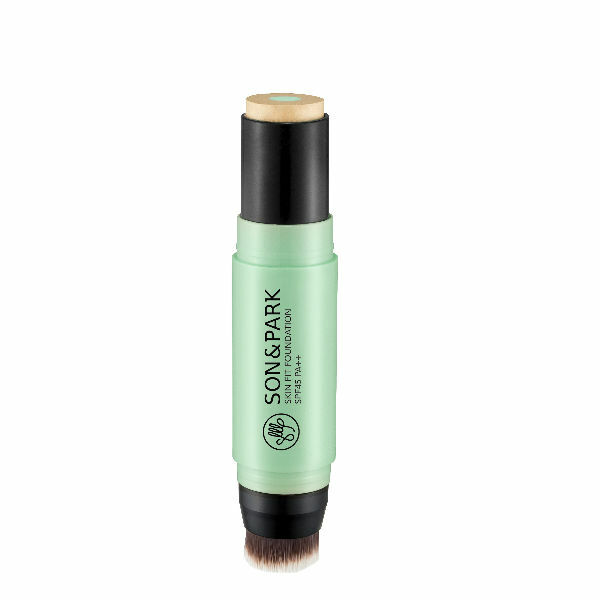 If you’re not accustomed to using several different makeup products to perfect your look or you would rather just keep it simple, then it’s worth checking out the Son & Park Skin Fit Foundation. This unique product contains a green color correcting core that cancels out redness and imperfections while evening out skin tone. It comes in a handy dual-ended applicator with the foundation on one side and the brush on the other, making this ideal for on the go touchups. Plus, this foundation also contains a innovative sebum capture system that helps to keep oil at bay all day long so you’re left with an even, shine-free base. Color correcting sounds a lot more intimidating than it really is. Just remember more doesn’t always mean better, and if you stick with a light layer of corrector before going over with your concealer or foundation, you’ll be sure to achieve a flawless look. + What tips do you have for how to color correct dark spots? Let us know in the comments below!